The accordion element allows you organize your page content with expanding and collapsing sections. The Accordion Element allows you to create expandable sections of your content. These are great for creating pages such as FAQs or similar. To get started with the Accordion Element, simply drag an Accordion Element onto your page. To add a new pane to your Accordion, simply use the 'add new pane' option in the right-hand menu of the editor. 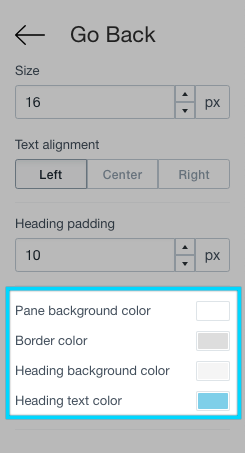 There are a bunch of options that come with the Accordion Element. Multiple open panes allows you to choose whether or not a visitor can open more than one pane at once with your Accordion. Icon allows you to change the icon that is shown on the accordion section. There are currently three options: chevron, none or plus. Text Alignment determines the justification of the titles of the panes. 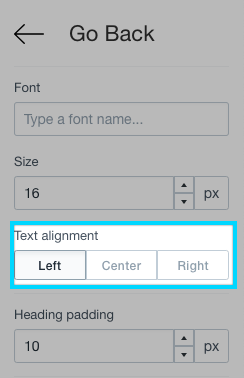 You can choose to right, left or center justify your titles. 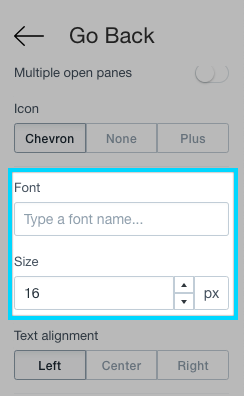 Font allows you to change the font and the font size of your pane headings. The Accordion Element uses the Google Fonts API to pull in fonts to choose from. The Accordion Element offers a range of customisation options that can help you make your page the way that you like it. This includes a range of color options for your Accordion.